Digital signage, also called dynamic signage, narrowcasting, captive audience TV, Media Signage and Digital Out Of Home is a specialized form of medium in which video or multimedia content is displayed in public places for informational or advertising purposes. A digital sign usually consists of a computer or playback device connected to a large, bright digital screen such as an LCD or plasma display. Another type of technology is called a Kiosk or Self Service ATM. Kiosk takes advantage of today’s technological age. Large chain stores and retailers can offer services through self-service kiosks. For example, drug stores frequently offer self-service photo developing kiosks. This kiosk has become immensely popular in many areas of the world. Kiosk video rentals, kiosk Internet stations, and even kiosk ATMs in rural areas are becoming increasingly popular. A shopper can use his or her credit card or cash at these kiosks, which are often open twenty-four hours a day, seven days a week. This type of kiosk can be somewhat costly to set up in the beginning, but as the kiosk is used frequently, it eventually pays for itself. 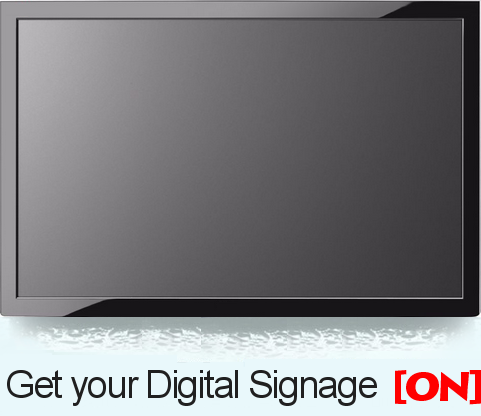 There are several advantages to the use of digital signs instead of paper signs. Digital signs can be updated at will by remote control while paper signs require individual replacement and physical travel to sign sites by personnel. Because digital signs require no paper or paint, they are more environmentally friendly than traditional signs. Digital signs can be animated and can deliver sound as well as visual content. So what is SaaS all about? In a SaaS model, which stands for Software As A Service, you subscribe to licenses every month. This means that if for example you have 20 screens installed , you will pay $n x 20 where n = the monthly subscribed price. The SaaS model has many key advantages including a lower cost of ownership and provides the flexibility for the subscriber to migrate from one SaaS provider to another. So what hardware do I need? You need to get a regular LCD screen (like the one you get at Costco) and mount it on the wall using a wall mounting bracket. You will also need a regular personal computer running the operating system recommend by your SaaS provider. The PC will run the software which plays back the Signage presentations. You will connect the PC to the monitor using any standard cable that both PCs and LCD screens support these days which include VGA, DVI or HDMI. Nope, that’s about it. Digital Signage and Kiosks are new emerging technologies and many opportunities exist as the industry is maturing. So whether you are looking to inform your own customers with entertaining and informative screens or if you wish to begin reselling digital signage using an advertising business model, digital signage and Kiosks are growing fast and you should take advantage of it, jumping on the bandwagon while you still can. Signage.me,© Inc. All Rights Reserved.